The information presented on this page was originally released on October 15, 2014. It may not be outdated, but please search our site for more current information. If you plan to quote or reference this information in a publication, please check with the Extension specialist or author before proceeding. One cow can grow well on two acres of good pasture and can produce an average of two calves every 24 months. In contrast, six adult goats can thrive on the same area of quality land as one cow. A doe in optimal condition can give birth two to three times every 24 months and is more likely to have twins or triplets. Goats reach an ideal market weight between 60 to 80 pounds, depending on variations in breed and management practices, Newman said. 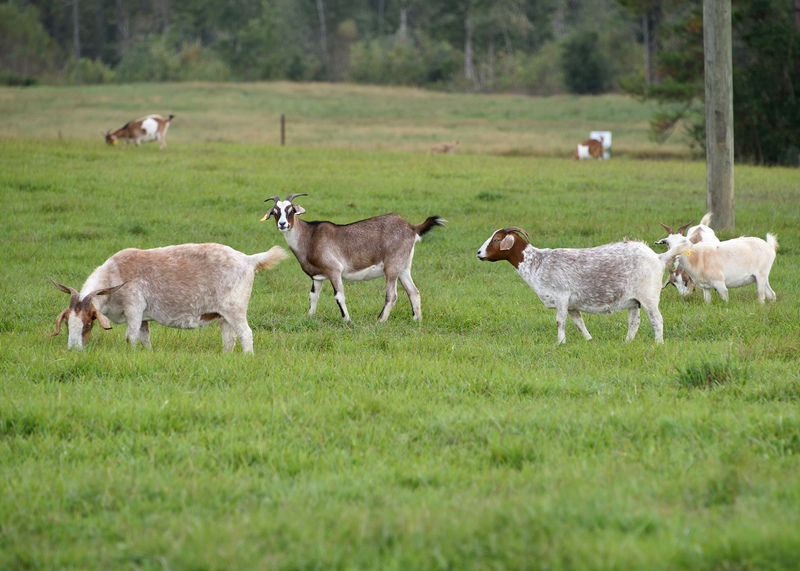 Goats are a niche segment of agriculture in Mississippi, grown for meat, milk, hair and 4-H youth livestock projects. The U.S. Department of Agriculture’s 2012 Census of Agriculture estimated sales of meat goats in the state at $986,000. The market value of all products sold in this specialty segment of agriculture, which includes sheep, goats, wool, mohair and milk, is estimated at $2.3 million. As ethnic populations in the U.S. increase, consumer demand for goats is expected to continue to grow. That is another reason producers add goats to their farms, Newman said. Dewayne Smith, a Greene County producer, began raising goats about 12 years ago as a food source for his family. Three years ago he began to expand his herd for the commercial market. Smith is passionate about educating children and adults about agriculture. His grandchildren show goats in the 4-H livestock program and tend to their animals daily at his farm. Smith also helps educate others through the Greene County Cooperating Agriculturalists. The group shares information about sustainable production, marketing, and merchandising of livestock and other agricultural products. The group formed a hands-on club for children who want to learn to raise livestock. 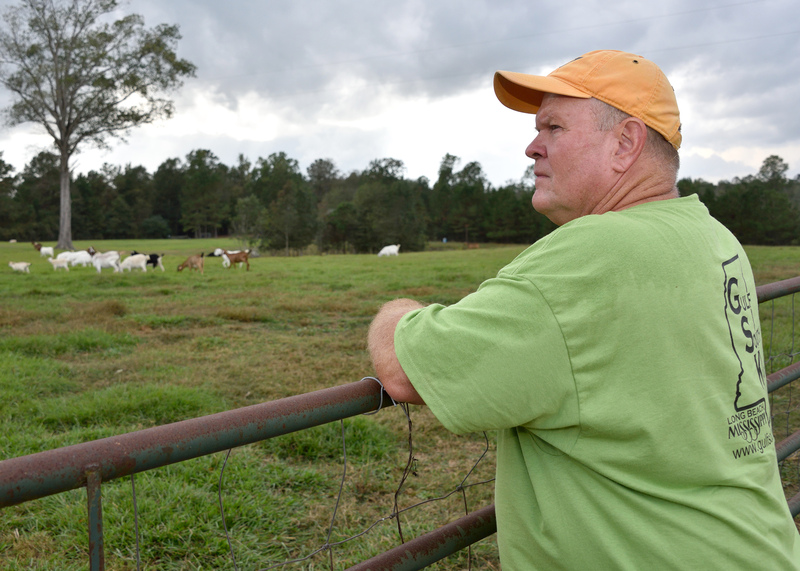 Darryl Byrd added meat goats to his cattle operation about 10 years ago and now breeds and sells Kiko goats with business partner Jesse Beech. They belong to a breeders’ alliance and sell their goats all over the country. Since the early 1990s, sale outlets for meat goats have grown beyond auction barns to include local markets created by producers, specialty buyers in other states and breeder association sales. Currently, selection one kids are bringing from $1.50 to $2.30 per pound at the graded sale in Bowling Green, Kentucky, Brown said. Any breed and type of goat, including dairy goats, can be used for meat. During the last 20 years, Mississippi producers have crossbred Boar and Kiko breeds with native goats to increase muscle mass and parasite resistance, Brown said. 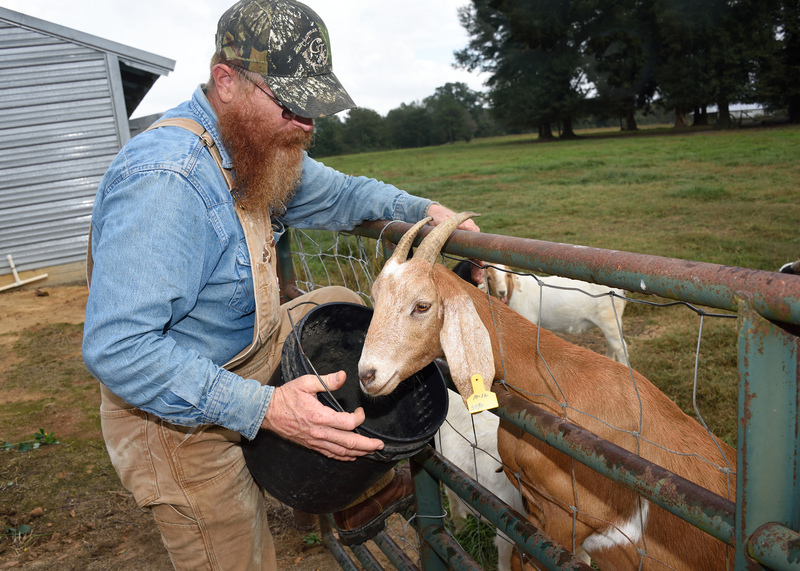 Although goats have some advantages over cattle, Mississippi’s wet, humid climate can cause health challenges. Producers should educate themselves before investing in goats, Brown said. Interested individuals can learn about raising goats during the Southeast Kiko Goat Association Fall Roundup and Sale Nov. 14 and 15 at the Forrest County Multipurpose Center in Hattiesburg. Experts with the MSU Extension Service, Tennessee State University and the Alabama Cooperative Extension Service will present educational seminars at the event. Topics include forage systems, parasite management, fire ant control, reproductive management and record keeping. The event is free and open to the public. Registration begins at 8 a.m. Nov. 14. Seminars conclude at 6:30 p.m. with a goat meat dinner. The event again begins at 8 a.m. Nov. 15 with educational seminars, a 4-H/FFA skill-a-thon, and an opportunity to view farm displays and talk with current producers. The breeding stock sale begins at noon.